Honestly your iq has to be at least higher than 100 to play this deck. I played this in team wars 6 one time and won a couple games. I'm Josh and I played Duelyst a lot before but not so much now. I think I am a pretty OK gamer. This deck is a midrange/ control style deck that I specifically built to beat up wanderer, fault, and build players. Wall positioning is very important and something I still have not mastered because I only have like 1 vanar ribbon. If you place your walls poorly you will not succeed with this deck. enfeeble is to not only activate walls but destroy build noobs. Situationally bad because when you have 10 more mana crystals than your opponent you don’t want to enfeeble your board. Other than that you just have to know when to go face and when to control. It is a delicate balance only Rick and Morty fans could comprehend. Tempo is the name of the game sporting cards that clear the field while developing the board and maintaining your hand at the same time, mixed with faies inevitable BBs wincon. Overdrive your way to S-Rank! A surprisingly underrated card. I had initially dismissed the card as to risky, and you do need to design your deck around it a bit to make it worthwhile, but the buff this card provides is truly massive and often game wining. 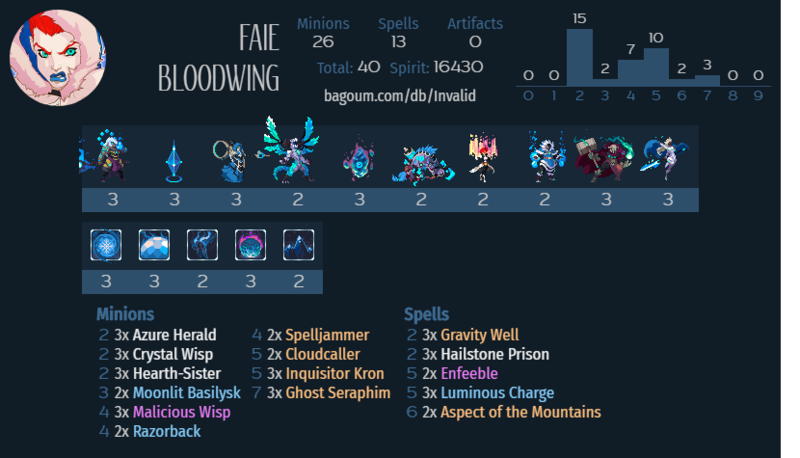 a crafty take on my wall deck – this one revolves more around embla as a killing power and the ability to find an opening and set your opponent into a trap using more then enough tools. Explore the world of different mana cost minions. a deck revolving around the snowshot (locke + luminous) as a setting for wincon and got more than enough tools to control your way over there, if you enjoy challenging decks steep learning curves and fun gameplay – this is the one . Wanderer Kara looks to get off the luminous charge and BBS combo to do 15 damage to your opponents face if they can’t answer it or stall with walls ramp and endless hunts to weather your opponent’s removal and minions.